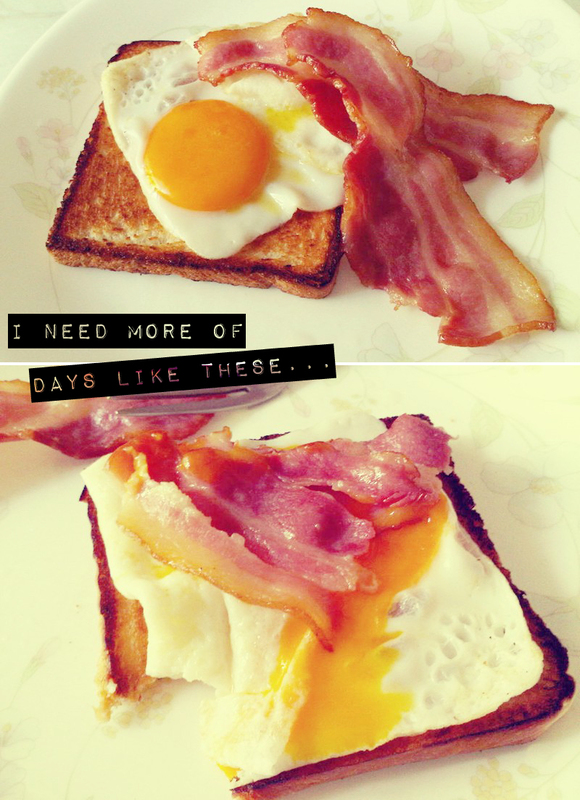 Sunny side-ups. An easier egg option, especially when you run out of milk at home. This was actually better than scrambled eggs, must be the half-cooked yoke. I had the bacon cooking in the toaster so I “toasted” the bread in a frying pan instead. You save on the oil mess from frying bacon in a pan, and bread actually tastes really good if you fry it with butter instead of just toasting it. ← Cappuccino for a Cause, tomorrow!